Ken Rossignol at the Hotel Fauchere in Milford, Penn. 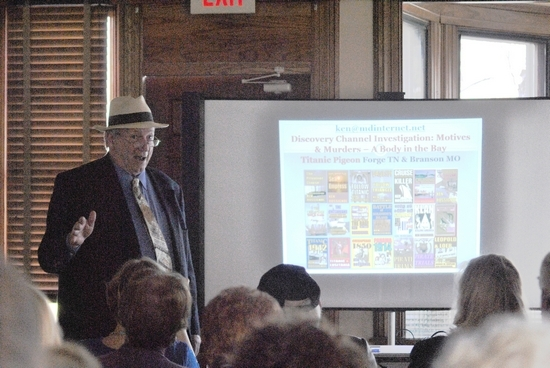 MILFORD — The story and history about the Titanic tragedy hooked Ken Rossignol as a young boy. Now, decades later, he travels around the world presenting lectures, facts, copies of original newspaper headlines and articles about the iconic ship — one such lecture took place in Milford’s Hotel Fauchere on April 27. Not only was the history interesting to Rossignol, but so was the movie “Titanic” starring Leonardo DiCaprio and Kate Winslet. “It was also, to me, the best movie too,” Rossignol said. “I was always fascinated by the Titanic, always felt, ‘What if that were me, what would I do?’ Would you jump into a life boat, would you help somebody else in?” he said. Rossignol also liked the love story that the blockbuster movie depicted. Photos by Anya Tikka First Class Passenger Ticket for the Titanic, using exactly the language that was used. It advises you, your baggage is insured, not you. 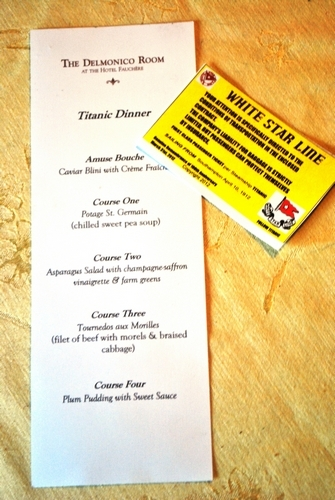 The menu at Delmonico Room, with dishes using recipes from the Titanic dining rooms. Rossignol became so fascinated by the largely untold story of what really happened on the fated Titanic’s maiden voyage, that he wrote “Titanic 1912.” The book came out in time for the ship’s centenary year in 2012. 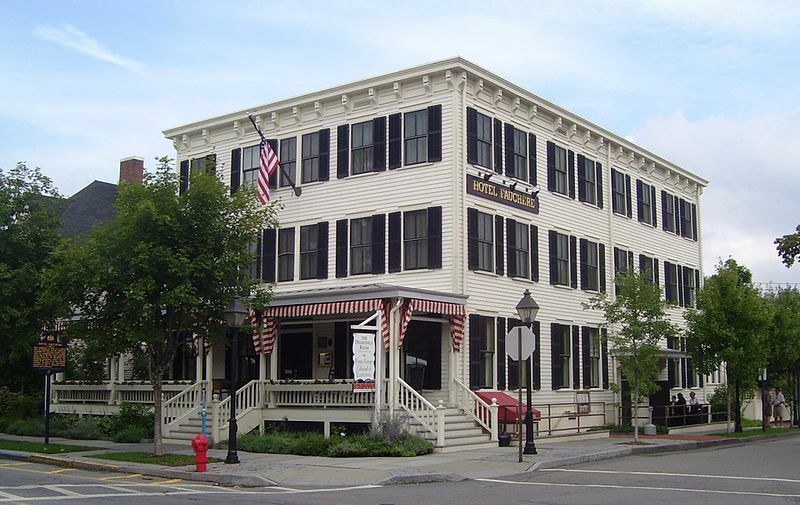 The Hotel Fauchere at 401 Broad Street in Milford, Pennsylvania was founded as a summer hotel in 1852, with its restuarant under the management of Louis Fauchere, who was the master chef of Delmonico’s in New York City. It is located within the Milford Historic District. He added that post 9/11 world understands the risk of overheated metal — it was weakened when the iceberg hit, and possibly contributed to the ship’s demise. Among other, better known facts are, Titanic didn’t have enough life boats for everyone. Some officers “fell” into one life boat all together, while passengers fought to get in. The “unsinkable” boat sank rapidly and the wireless operator’s efforts with SOS signals saved many from drowning. The first newspaper reports had headlines declaring “All were saved” as about 250 bodies were taken to Halifax. As a result of the disaster, all boats were required to carry enough life boats.